Marc Trautmann came to us with an idea for a creative collaboration between CGI, photography, and architecture. 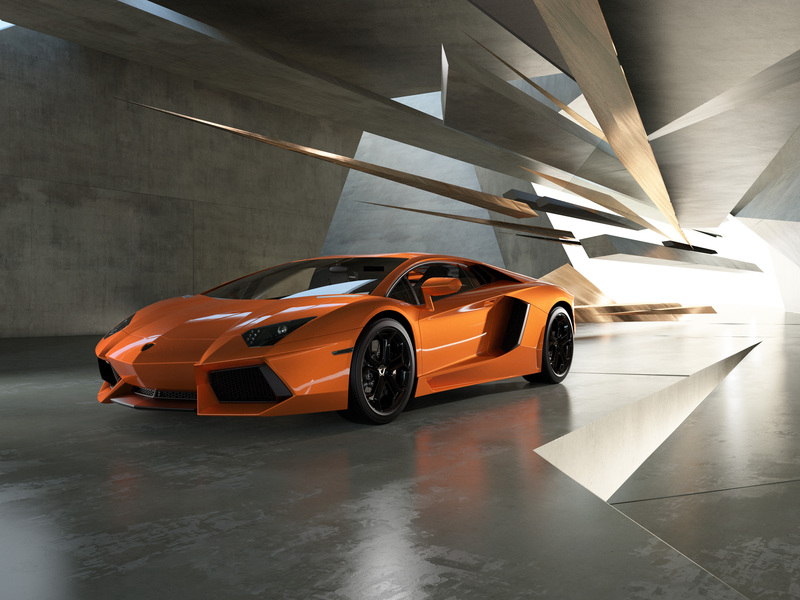 The astonishing sculpted form of the Lamborghini Aventador would be set in deconstructed architectural elements, inspired by Daniel Libeskind, with both the car and the setting realised entirely in CGI. We loved the idea of creating an environment that would mesh perfectly with the extravagantly powerful style of the car, the challenge of making such an impossible setting look believable, and of course the collaboration between three creative disciplines. 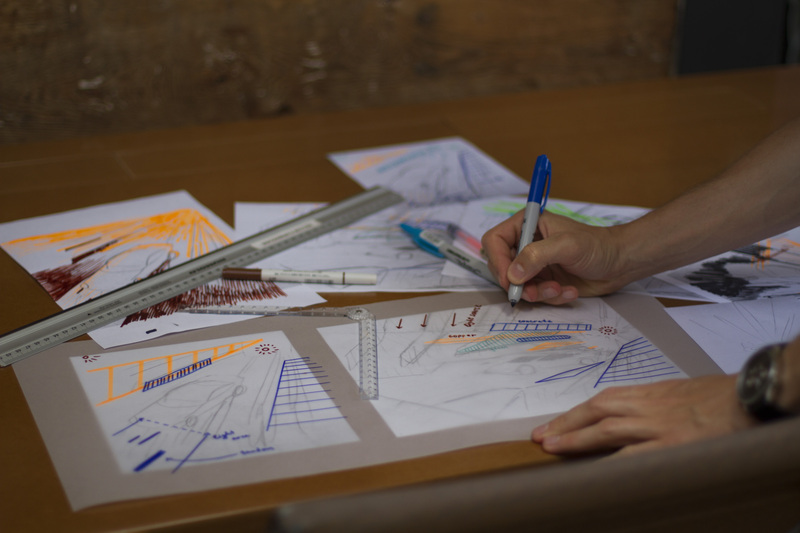 The first stage is to sketch out the initial concepts – no matter how technological the execution, there’s still nothing like breaking out the sharpies and sketchpads for free experimentation and collaboration in the early stages. 2. 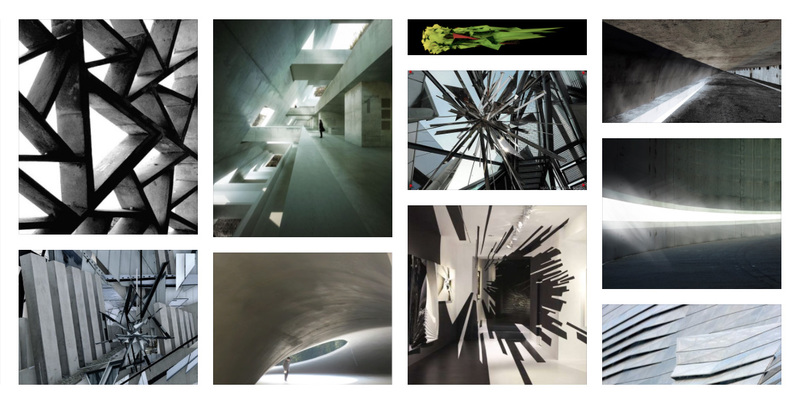 Moodboard: structure, architecture, light. When we are planning a deconstructed architectural enviroment, it’s vital to find reference for the elements so that they are completely convincing. We looked for abstract shattered planes and shards to inspire ideas, but also for reference of how light would move and react between the shapes. And we sought out architecture – both imagined and built – that was close to our vision, to see how it is structured in reality. 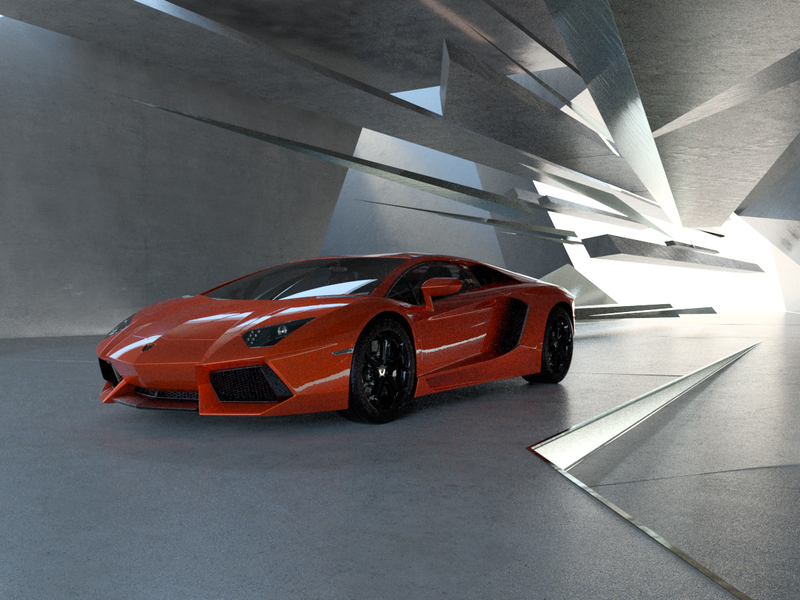 Marc worked with Franken Architekten to construct and then deconstruct a setting around the car. Originally created in architectural CAD, they were exported as .dwg files for us to work with in Maya. 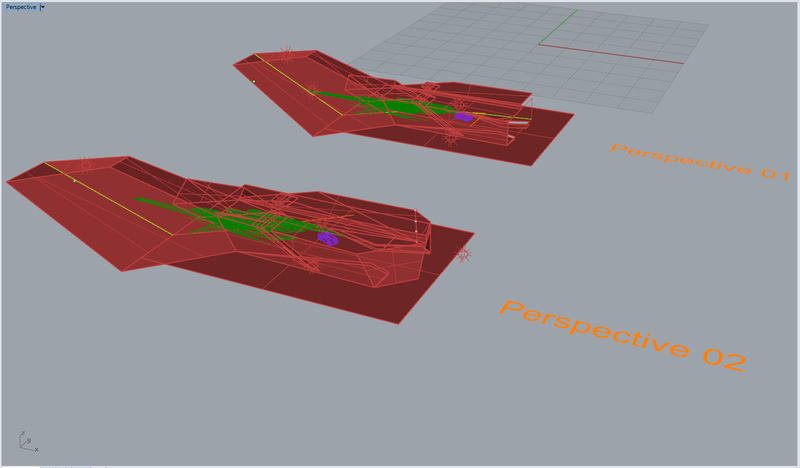 Once the initial concept is drafted, we began to refine the ideas in Maya. 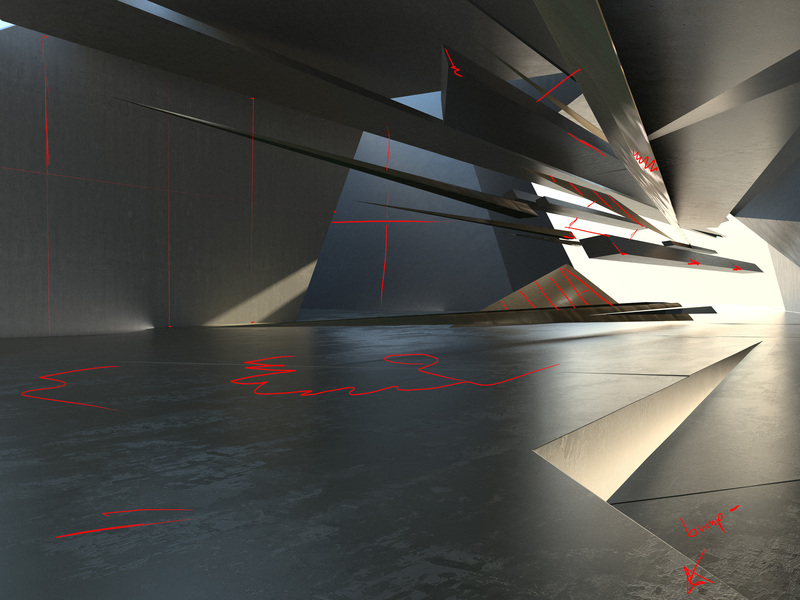 We experimented with different directions and angles and light sources within the architectural setting. 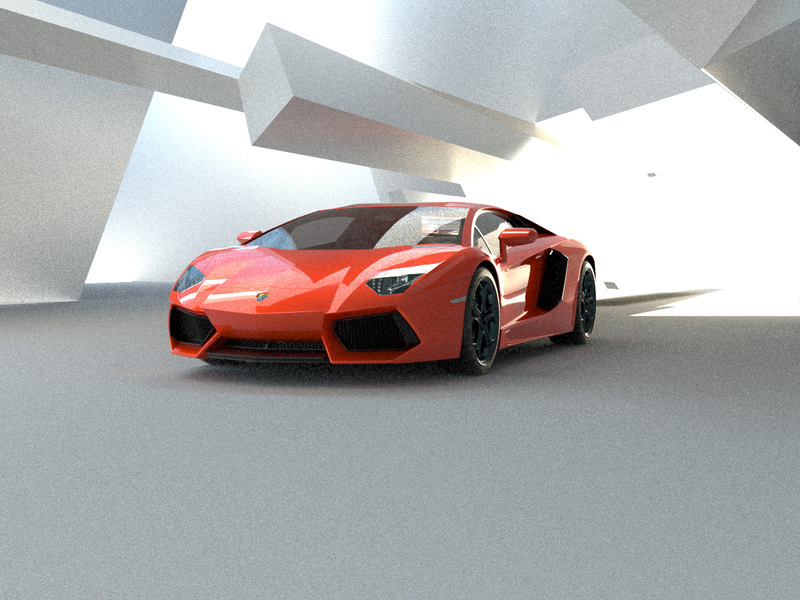 Once we were happy with the angles and the placement of the car, we crafted preliminary passes on lighting and mood. 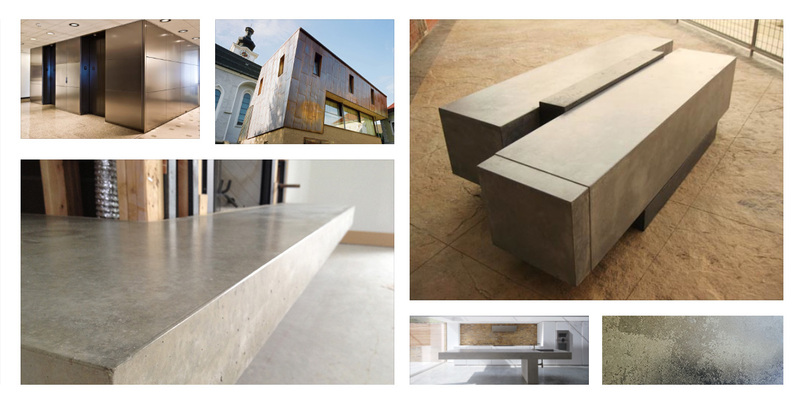 The next stage is to look in detail at the textures of concrete, steel and glass – once again, we make moodboards of real-world examples. 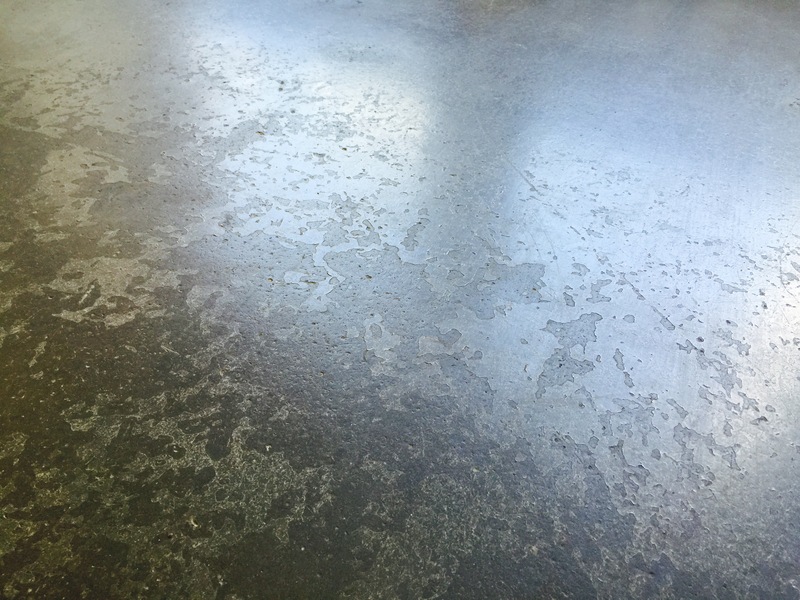 For the detailed observations to make the renders perfectly convincing, we used material references from Marc Trautmann – the concrete floor of his studio had the perfect worn industrial texture we were after. With the textures in place, we worked with Marc in developing the background further. Together, we sketched out where texture and lighting should be refined and perfected. 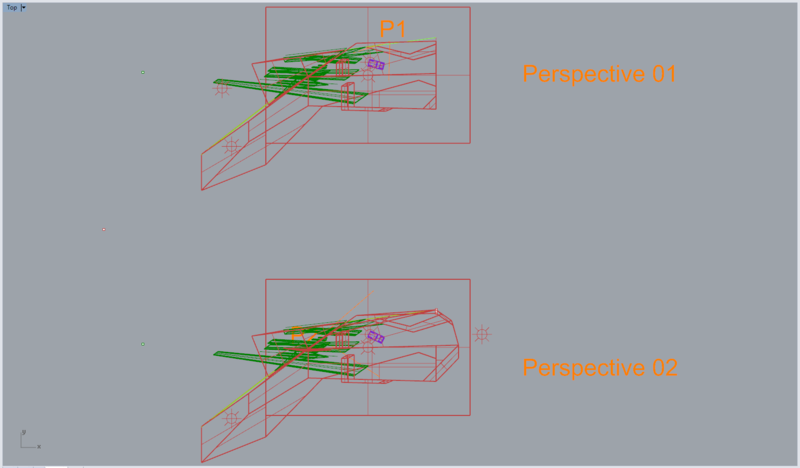 We tested colour and mood variants, fine-tuning the lighting and perfecting the dynamism and balance between the structures of the car and of the deconstructed setting. 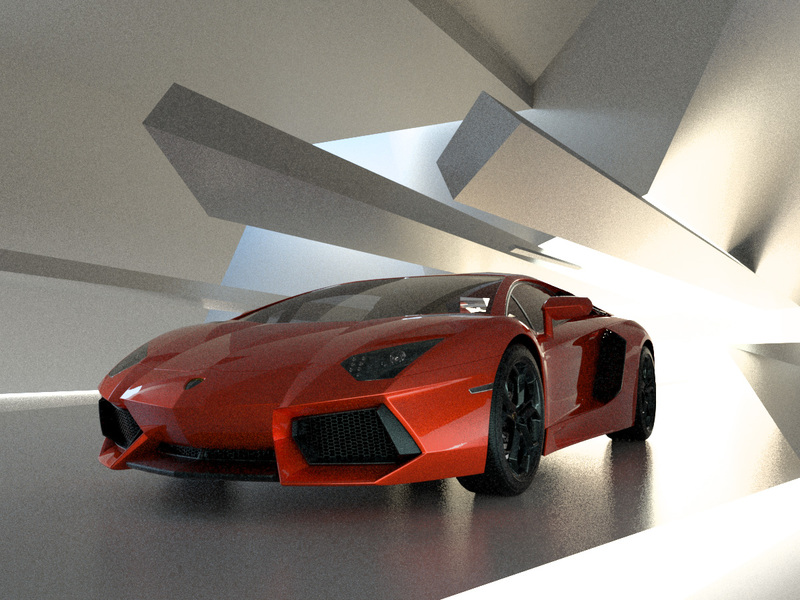 High resolution rendering in Vray shows how the details are coming together here. 7. 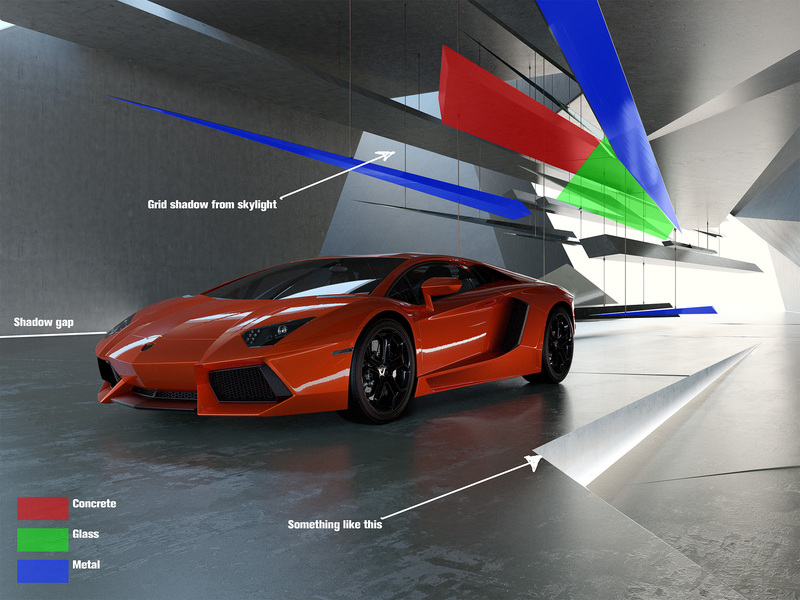 The final artwork – three images of an extraordinary car in an extraordinary space. Fly through the modelling and see how we built up the image, in our behind the scenes movie here! 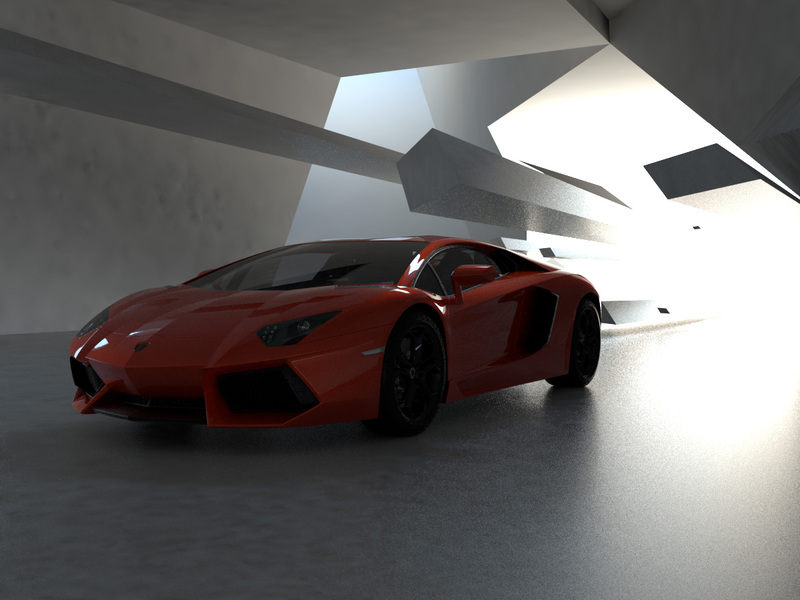 This entry was posted in THE MAKING OF and tagged Architecture, Automotive, CGI, Lamborghini, Marc Trautmann, Personal Projects on August 5, 2016 by recomfarmhousesocial. 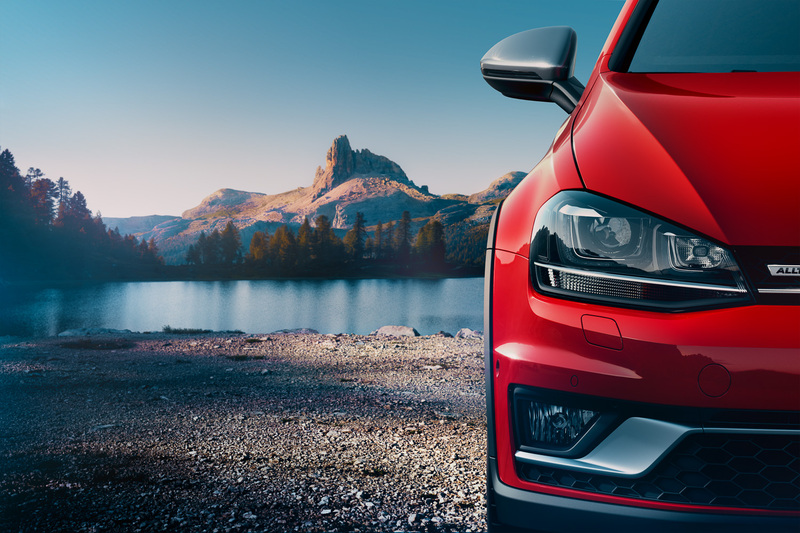 A few months ago two members of our team, Kate and Dave, flew to Cortina D’Ampezzo, Italy to work on the new VW Golf Alltrack brochure and advertising campaign shot by photographer Marc Trautmann. They were on set to speed-up the post-production process providing both on-set retouching and pre-visualisation. 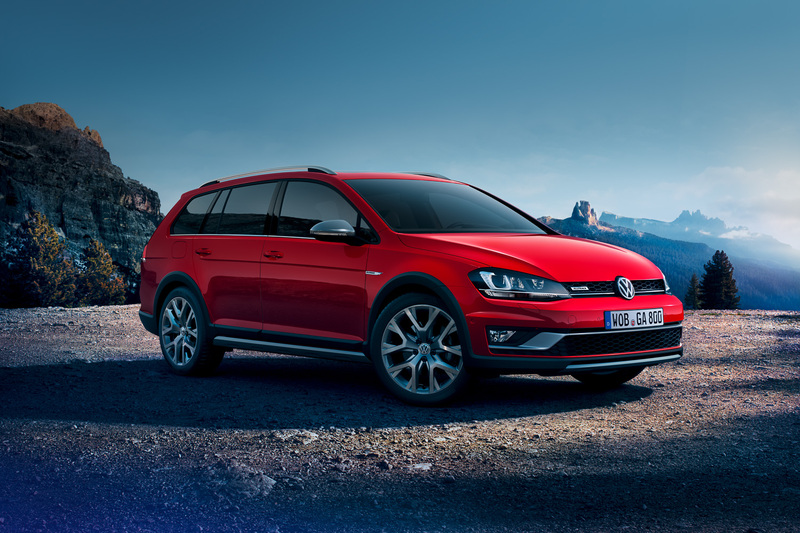 This entry was posted in NEWS, THE MAKING OF and tagged Automotive, CGI, Marc Trautmann, Photography, Volkswagen on December 16, 2014 by Recom Farmhouse.